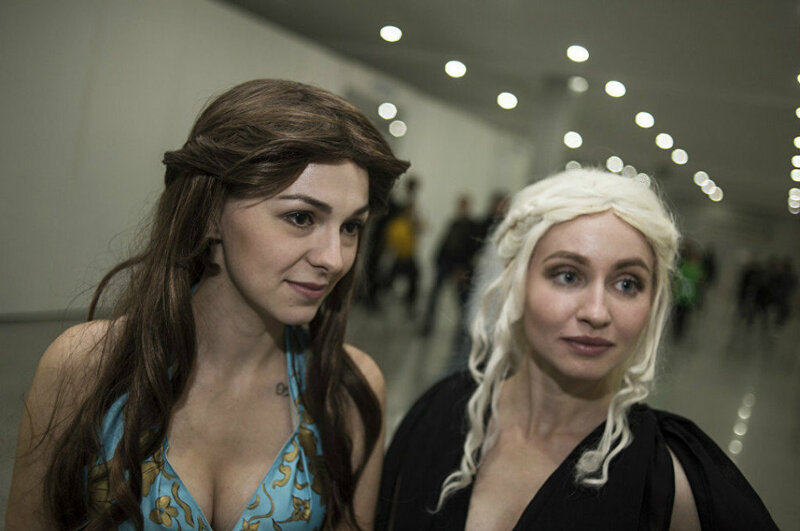 On September 29, two exhibitions, IgroMir and Comic Con opened in Moscow. The festivals offer pop culture fans an opportunity to learn about new trends and meet their favorite celebrities. Traditionally, cosplayers flock to these festivals, all dressed up as their favorite characters, sparing neither time nor money. Enjoy the freak and geek show! “I began to cosplay Harley Quinn back in 2013. I fell in love with the Joker character when I was reading the comics. I then realized that Harley and I have something in common. I own five ‘Harley’ costumes. When the ‘Suicide Squad’ movie came out, I wanted to create a new outfit. As for the costume, I made it myself but I had to spend on accessories such as a baseball bat and a gun. I imagine I spent about 300 dollars,” Alice told RIA Novosti. “I work in the restaurant business. I’ve been attending IgroMir for 11 years already, and it’s the fourth year that I’m going in a costume. This year I dressed up as Joker as I was inspired by the recent film ‘Suicide Squad’ and loved the role played by Jared Leto. It seems to me that Heath Ledger’s character was more like a murderer, while Jared’s Joker turned out to be a psychopath. He actually revealed the story as it is supposed to be. I’m cosplaying because I want to bring visitors joy. It doesn’t matter if some costumes look similar, it is still great fun,” Ilya told RIA Novosti. “I was told once that I resemble Jon Snow which convinced me to do a photo shoot. Before that I didn’t know much about the TV show, I had only heard bits and pieces. But then I watched the show and read all the books and I got into this whole thing. I realized that I have a lot in common with Jon Snow, something more than just appearance. I made the costume and spent a lot on materials. Even the sword was made by me, as I wasn’t able to find one even on flea markets. I feel comfortable in this outfit, and in the future I plan to take up acting or directing courses,” Michael told RIA Novosti. “We have read the books, and loved the film. We think we resemble the characters from the show. These looks are popular – everyone wants to take a photo with us. As for the costumes, we made them in 8 days. 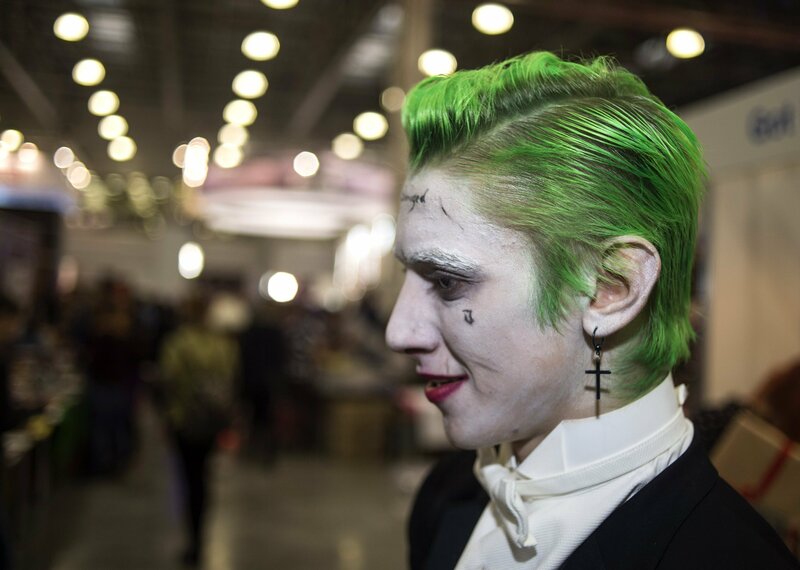 Last year, one of us was Harley Quinn at the IgroMir but this year there are just too many of them,” Iris and Julia told RIA Novosti. “I’m a veteran fan – I’ve read thousands of comics and watched the movie. I deiced to make my childhood dream come true – to become a superhero. Deadpool has an interesting character, we are both optimists. I had to order the costume and paid more than 160 dollars for it. But it is well worth the effort!” Konstantin told RIA Novosti. “I chose Walter White as we have something in common. We both wear beards and are bald. I can’t say I’m a big fan of the show but I do enjoy watching it. To be honest, I came here to show off a bit and to take a look at the huge virtual reality systems that are impossible to buy for home use,” Aleksandr told RIA Novosti.